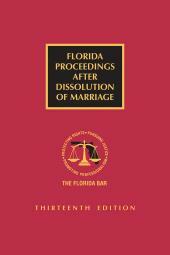 These instructions contain the "How to Use This Book" section of the Florida Supreme Court Committee's Standard Jury Instructions in Civil Cases, as well as Sections 100, 200, 300, 600, 700, and 800 of those instructions. 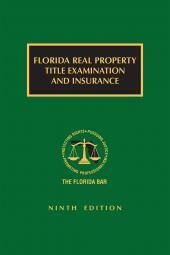 The Second Edition, now presented in an easy-to-use loose-leaf binder, updates the instructions with the changes incorporated after this title was originally produced. 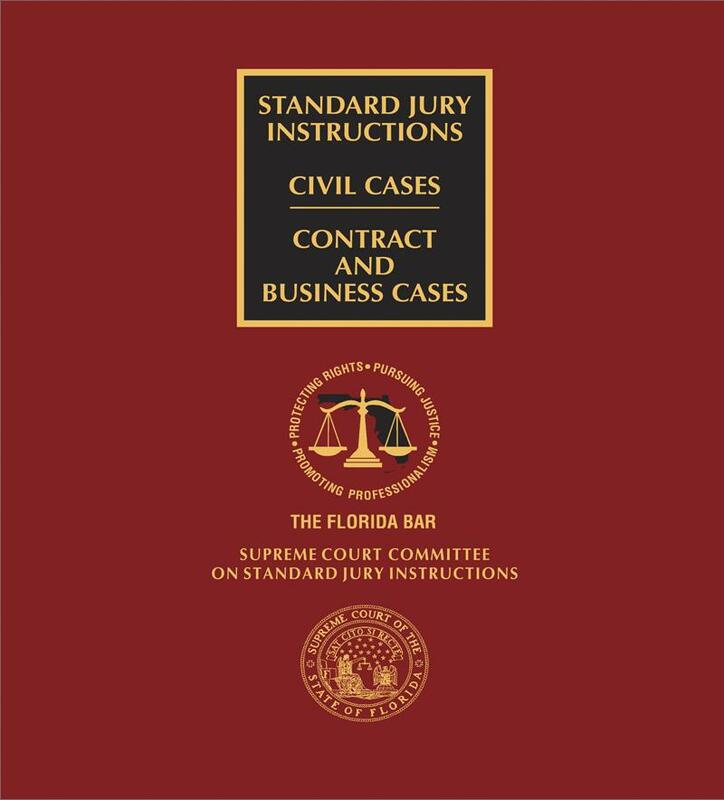 In June 2013, the Florida Supreme Court authorized the publication of Florida Standard Jury Instructions: Contract and Business Cases. 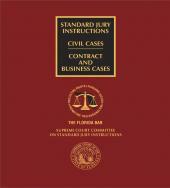 These instructions contain the "how to write instructions" appendix section of the Florida Supreme Court Committee's Standard Jury Instructions in Civil Cases, Sections 100, 200, 300, 600, 700, and 800 of those instructions, as well as Sections 400 and 500 that focus specifically on contract and business instructions. The Second Edition, now presented in an easy-to-use loose-leaf binder, updates the instructions with the changes incorporated after this title was originally produced. Section 400: Substantive Instructions, contains instructions for the principal issues the jury is to resolve and the legal principles governing the resolution of those issues, organized according to specific causes of action. 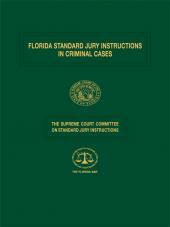 These instructions are individually numbered under 416 in order to not conflict with the already existing instructions numbered 401 through 415 by the Florida Supreme Court Committee on Standard Jury Instructions in Civil Cases. Section 500: Damages, contains instructions on damages arranged so that the various elements of damage proper for consideration in any given case may be selected. The model charges contain guidance on straightforward and complicated or multiple claim cases. These instructions are individually numbered under 504 to not conflict with the instructions already existing numbered 501 through 503 by the Florida Supreme Court Committee on Standard Jury Instructions in Civil Cases.